We service and repair commercial playground equipment across Central Florida including Schools, Daycares, Churches, Neighborhood HOAs, Property Managers and much more. 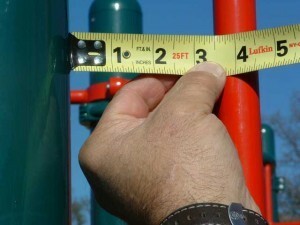 Inspections of existing playgrounds – ask about our popular Playground Check Up. 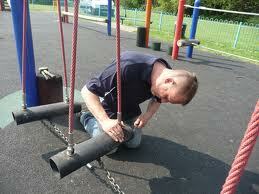 Maintenance and repair on your existing play equipment or swings. We service most brands. Ground cover refreshing – Wood Mulch or Rubber Mulch. Poured-in-Place Rubber and Synthetic Grass also available. Fun new add-on play features for your playground. Call for a catalog! Shade structures – Sturdy and affordable, our cool sun shades are the hottest trend in outdoor play. Site amenities – Picnic tables, benches, trash receptacles, bike racks, basketball goals… you name it. Call us for a quote today – 407-695-8855! We are Central Florida’s Property Management Specialists. We work with management firms who need a quick, one-stop vendor to fix or improve their clients’ playgrounds. We are very focused on risk management, inspection follow ups – call today to schedule a Playground Checkup (discounts available for multiple property reviews). We work with the area’s best management companies including: Southwest Property Management, Sentry Management, Pinnacle Property Management, Leland Management, AGPM and many more. Next Steps? We’re here to help!